If your dog is infected with heartworms, your veterinarian will help you determine the best method of therapy for your dog. After extensive testing, your veterinarian will be able to recommend whether the slow kill heartworm treatment is the safest alternative in treating your dog’s worm infestation. Veterinarians often prefer this method especially if the worm burden is significant. 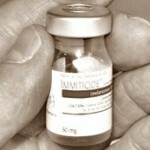 The medication used in the slow kill heartworm treatment is Immiticide. This is the same medicine used in the fast kill method. However, the dose of Immiticide in the slow kill treatment method is delivered in such a way that the worms are destroyed over a longer period. The protocol for the slow kill method generally requires three injections during the course of the treatment plan. Why Might The Slow Kill Method Be Safer? 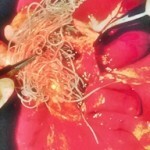 When the adult heartworms are destroyed, they are expelled from the heart in small pieces as the worms decompose. If your dog has a significant infestation, this can result in too many pieces being expelled from the heart at one time. This can cause significant complications for your dog. Many dogs will experience significant coughing and gagging during the course of therapy. If the worms are expelled too quickly, the dog can suffer a fatal pulmonary embolism as the pieces cause a blockage in the main blood vessels of the lungs. The slow kill method will kill the worms more slowly and over a longer period of time. This will lessen the risk of too many pieces of dead worm being expelled at any one time and causing a problem such as described above. Whether fast kill or slow kill treatment is prescribed, it is crucial to confine your pet and limit physical activity. If your pet’s heart pumps too fast this can lead to serious complications which may result in death. The slow kill method will take at least two months to complete. Your dog will be given an initial injection of Immiticide and the two additional injections will take place at least a month after the initial injection. The second and third injections are given at least 24 hours apart. Treating heartworm infection is a stressful and painful process for your dog. In addition, the treatment for dogs is quite expensive. Choosing a heartworm prevention plan is less costly and much easier for your dog. Your veterinarian can help you choose a monthly preventative for dogs that will kill the immature worms in your dog’s bloodstream. The medicine in the preventative programs does not kill adult worms. The only proven cure for these is the injection of Immiticide or if the worm burden is too severe or the dog too unwell to undergo this, surgical removal of the adult heartworms will help to reduce the burden and help your dog get well enough for treatment. The slow kill heartworm treatment is substantially more expensive than the fast kill method. However, all methods are expensive and stressful so it is far better keep your dog safe by using a preventative program recommended by your vet. I can’t begin to tell you how thankful I am for this website. Your page is the most informative site I have found since my by beautiful and cherished German Shorthaired Pointer “Buddy” was diagnosed with heartworm. My husband and I have done nothing but worry. We have always had him on preventive medication but apparently we got a bad batch and as we live in a sub tropical climate heartworm exposure is high. It’s going to be a long week as my “buddydog” starts treatment this morning. We have chosen the “slow kill therapy” as our dog must be transported to the main island for treatment (no vet on our island) by over night ferry and that may put additional stress on him. Because we will not have immediate access to a vet should he have complications we think the slow kill is the most advisable therapy. With that said, we are taking high precaution with the manor of transport and post care. I wish we could just house him on the main island but the cost of doing so would be just to costly. As it is, the treatment and transport necessary is quite costly. We love our dog and will do all that we can to save him.Fortunately we caught it early and he is only in stage I with slight pulmonary congestion. I do have one additional concern I could use your advice about. We have recently acquired a 10 wk old puppy that we purchased from SPCA. I inquired about heartworm prevention and was told the pup is safe for 6 mos. They have visiting vets coming over late August and I was told they would advise me then. HOWEVER given that we already have one dog heartworm positive I am concerned. Would it be more prudent to start the pup on prevention sooner? The private vet we are now using also told my husband that the pup is safe for 6 mos. but my brain is working overtime at the moment. Thanks again for having such a wonderful informational service! Hi Tina, I have replied to your other comment and you will have the reassurance of the further advice from vets in August in the meantime, hopefully this article will help Heartworm and Your Puppy. My 2 year old 9.1 pounder just had a positive on test but no breeding shown. Presently under vet ok we are continuing monthly prevention with added antibiotic. Vet says it is possible the next test could be better and with continued monthly treatment it is possible for the test to be negative but could take couple of years. Vet does recommend the slow kill regardless. Explanation given was the first treatment will waste half a vial due to no storage capability. My question is if there might be a web site group where one could find others in same situation to find those at local level to split cost of first treatment rather than waste half a vial of meds? Hi John, your idea is a good one, but I do not know of any such group online at the moment.